There are some great books coming out in June - so many that we're having a Twitter chat tomorrow, Monday 1st June, at 8pm to discuss them all! 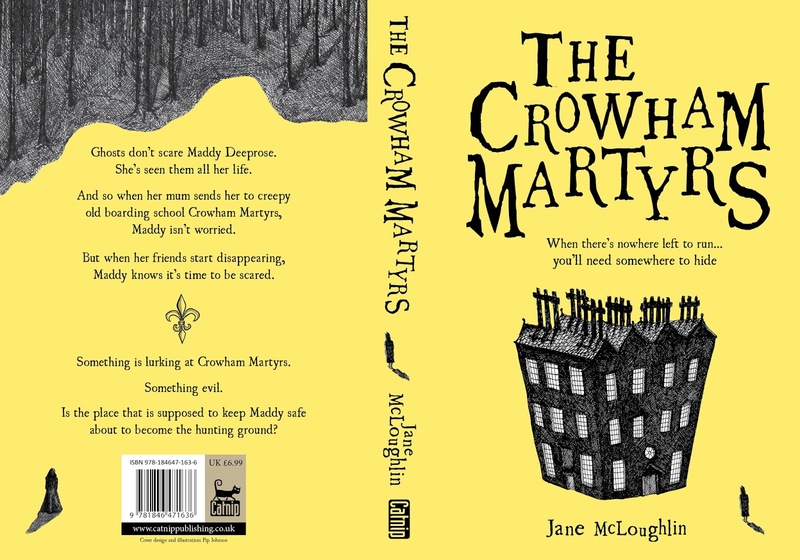 One I'm really looking forward to is The Crowham Martyrs and I'm THRILLED to have a reveal here of both the front AND back covers! Huge thanks to author Jane McLoughlin and publishers Catnip for setting this up with me. I was lent this by my friend Charlie, who's reviewed it herself at Charlie in a Book and pretty much says nearly everything I wanted to say. Her story by story approach is something I've never been good at for short story anthologies, so if you want more details, I'd highly recommend heading over to her blog; I just wanted to share a few thoughts here as well. The overall feeling I got when reading this collection was of real happiness and joy - there's an amazing feelgood factor which I still don't think we see enough of in LGBT books (although with novels like Simon Vs The Homo Sapiens Agenda and Everything Leads To You recently, there's at least a real improvement happening!) I particularly loved the exceptional chemistry between several of the pairings, and the accepting families and friends which many, although not all, of the characters here had. Naomi Tajedler's What The Heart Wants, a contemporary story taking place around a summer art class, is the masterpiece of the collection, managing to include a young girl coming out, a gorgeous first relationship, a strong friendship, sibling rivalry, and a character who identifies as asexual. (This last, in particular, is something I want to see SO MUCH more of and barely ever find!) This is so well done it feels as rich and fulfilling as many novels do, in the space of just 40 pages or so. I loved so many characters here and will pre-order multiple copies of anything by Tajedler after reading this. The other stand-out for me is Amy Stilgenbauer's The Fire Eater's Daughter, a carnival-set 1950s romance with a young girl waiting for the return of the fire eater's daughter who she's fallen for. As well as protagonist Ruth and love interest Constance, I adored Ruth's mother Hannah, a Polish woman who cares deeply for her daughter. I originally wrote that this needed to be a novel of its own, but that's ridiculous, thinking about it. 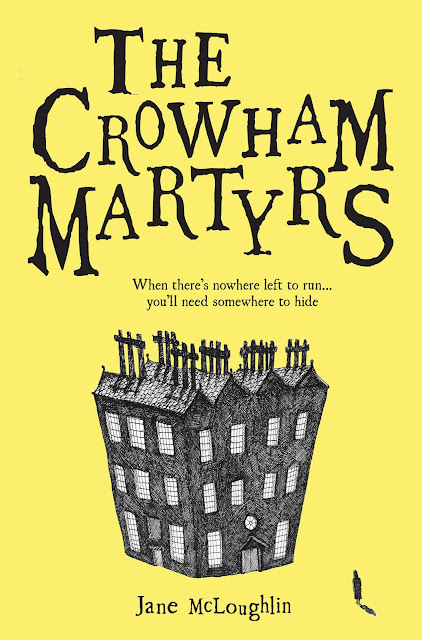 It doesn't NEED to be anything other than it is, a gorgeously evocative short story. That said, I'd absolutely read a full length work based on this, or following later adventures of any/all of these three superb characters! 'Gorgeously evocative' is also the best way to describe The Willow Weeps For Us, Suzey Ingold's story of two young men falling in love in the hazy summer and autumn of 1939, just before war breaks out. I loved Jack and Richard, and the quietness of their romance, and Ingold and Stilgenbauer are the two authors here whose writing style stands out as exceptionally good. Brief thoughts on the others - Cody and Andre in Beautiful Monsters by Rachel Davidson Leigh have stunning chemistry between them, as do Poppy and Ava in On The Shore by Rachel Blackburn. Ella J Ash's Surface Tension features some of the best flirting I've seen for a long, long time, and I love reading great flirting. S J Martin's The Most Handsome, about a transgender main character learning to accept himself, is a lovely story and of all of the contemporary ones probably has the best sense of place, capturing the small town of Provincetown beautifully. The remaining two, Caroline Hanlin's Something Like Freedom and My Best Friend by H J Coulter, didn't stand out so much to me but are solid reads and add to the collection's diversity. In general, I'd read more from any author included here - an impressive success rate for any anthology, particularly one featuring stories from 9 debutantes! Hugely recommended; I'm sure anyone with an interest in LGBTQ books will find several stories to love here. The Twice Lived Summer of Bluebell Jones by Susie Day - This is about a girl who makes a wish and summons her future self, a year older, to help her become a cool and glamorous teenager. 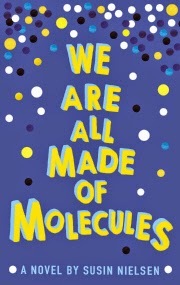 It's a fun read, told with great humour, and wonderful characters. And then you get the ending which I haven't QUITE forgiven Susie for even after nearly three years. BRING TISSUES. Lobsters by Tom Ellen and Lucy Ivison - One of the funniest books of the entire of last year for me, with brilliant characters. Superb. Paper Towns by John Green - You can't have a list of summer books without a road trip story, surely? I was tempted by the superb Amy and Roger's Epic Detour by Morgan Matson, but as I've already got another of hers here, and I haven't read Maggie Harcourt's The Last Summer of Us yet (although it's getting FANTASTIC reviews! ), I'll go for this. My favourite of John Green's books, I love the way he captures the last few days of a group of teenagers' school lives so well. 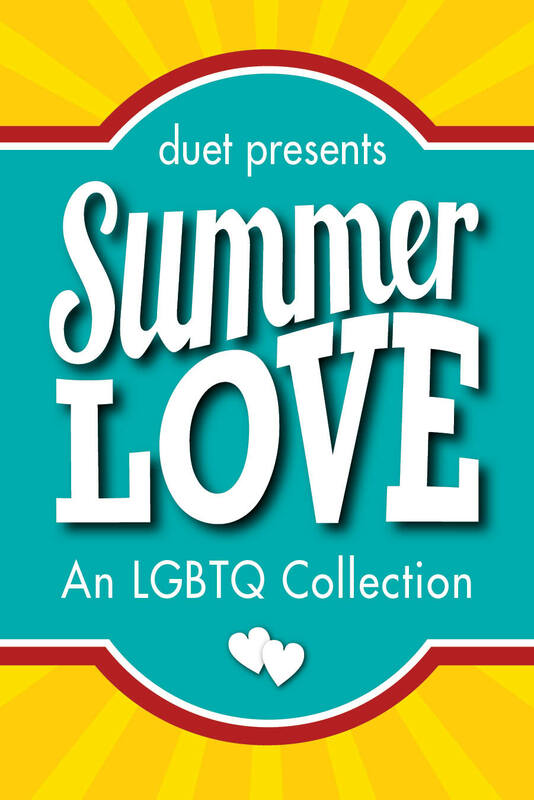 Summer Love edited by Annie Harper - There'll be a full review of this going up in a few days, but it is SO good that you should pre-order now rather than waiting for that! A bunch of heartwarming, fun, and gorgeous stories with characters and authors from all over the QUILTBAG spectrum. We, The Drowned by Carsten Jensen - The ultimate seafaring epic. An adventure story, a romance, a coming-of-age story, a war tale, a drama, and a comedy, and one of the greatest novels of this century so far. Indigo Blues by Danielle Joseph - This dual narrative, about a boy who becomes a hot new rock star on the back of a song he wrote about being dumped, and the girl who dumped him, is a fun, fresh and engaging story. A perfect summer read! 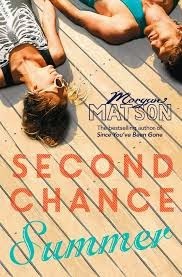 Second Chance Summer by Morgan Matson - You're happy to be seen lying on the beach crying your eyes out, yeah? If so, take this with you! If you'd rather do your sobbing in private, perhaps leave it until the evening when you're back at the hotel - but either way, a must read if you haven't already devoured it. Remix by Non Pratt - Capturing a music festival perfectly, Non's newest book - out in just a week or so! 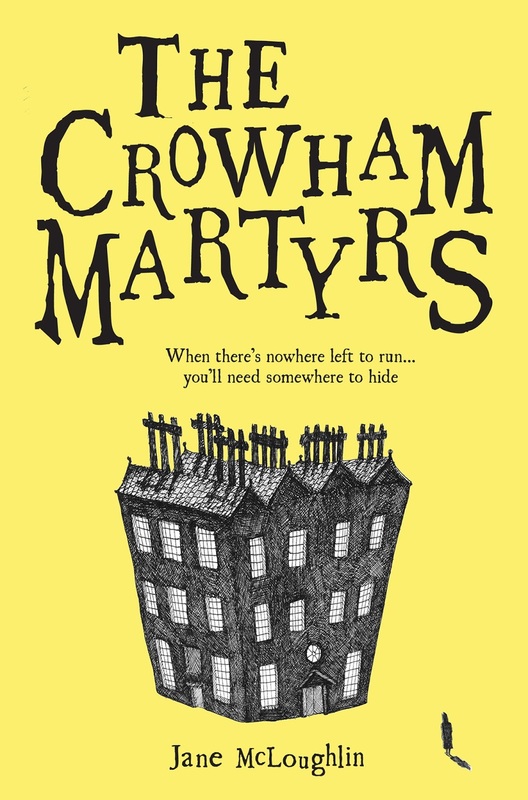 - is a gorgeous story of friendship with the same wonderful characterisation and great writing style that made debut Trouble (which would also be fabulous for this list!) a massive favourite amongst bloggers. 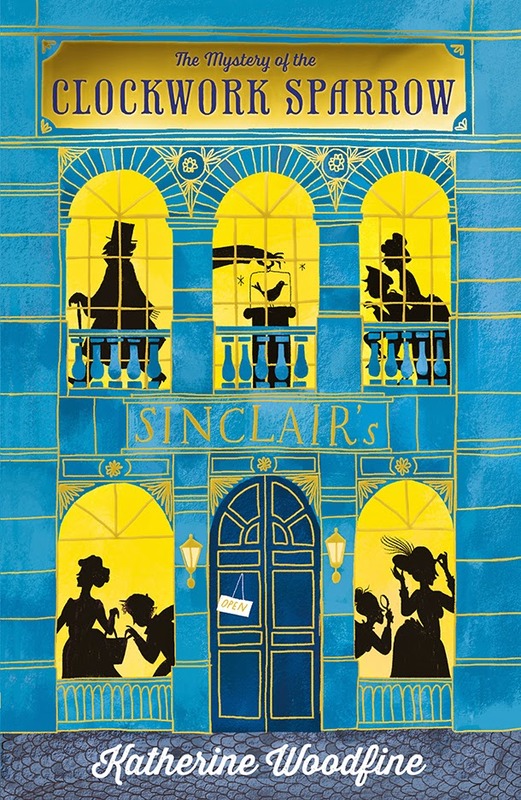 Starring Kitty/Spotlight on Sunny by Keris Stainton - Sunny is perhaps more of an obvious beach read because of the setting, in the school holidays as friends Sunny, Hannah and Kitty go on a film course and get to know London. 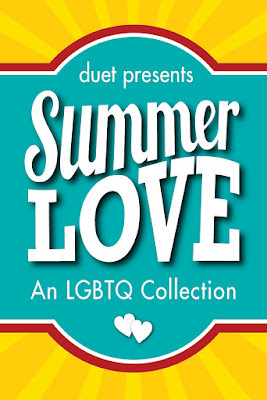 I couldn't recommend it without also suggesting you read the first in this series, though, a gorgeous LGBT love story! 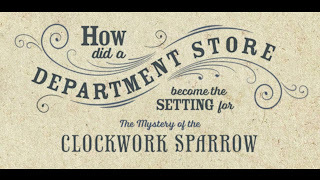 I enjoyed reading Katherine Woodfine's debut, The Mystery of the Clockwork Sparrow, so I'm thrilled to have a video from her on the blog today! After the death of her father genteel young lady Miss Sophie Taylor must seek employment. 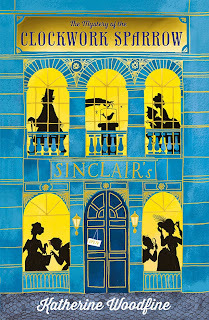 She’s thrilled to join the staff at Sinclair’s, the most beautiful department store in London – and consequently – the whole world. There she enters a world of bonbons, hats, perfumes and MYSTERY around every corner. Working at Sinclair’s, Sophie makes lots of new friends: GLAMOROUS aspiring actress, Lil, serial paper obsessed Billy, and Joe – who is on the run from underworld criminals. Katherine Woodfine is Arts Project Manager at Booktrust, the UK’s most prominent literacy charity. She is a true champion of children’s literature and throughout her time at Booktrust has project-managed the Children's Laureateship and worked on a huge range of other children's book prizes and initiatives, including YALC 2014, the UK’s first Young Adult Literature Convention, curated by Malorie Blackman. She has reviewed and recommended children’s titles online, in print and on the radio as part of the founding team at Down the Rabbit Hole, a monthly show for Resonance FM discussing children’s literature. She lives in London. Follow Katherine on Twitter @followtheyellow. Don't miss the rest of the tour, as well as Katherine's brilliant post on the Guardian today! I've gone for my top author and top blogger first, as I'd written a paragraph talking about them both back when this was a reasonably-sized list, and then gone bloggers/sites alphabetically by Twitter handle, and authors alphabetically by Twitter handle, apart from a couple at the top of the authors list where I wanted to draw attention to other sites they're involved with. I did want to write more about individual authors, but ran out of time! Also, there are people who nearly made it on but I was trying to keep the list semi-reasonably sized; there are no doubt people I've forgotten and will be MORTIFIED about as soon as I realise this, and there are almost certainly amazing people tweeting about LGBT books who I haven't come across yet. Comments pointing me in their direction would be HUGELY appreciated, and an apology to anyone who isn't on there. Finally, a huge thanks to my friend Ming (@raremediumwelldone) for her fabulous suggestions! Charlie also writes for MuggleNet and Inclusive Minds, as well as blogging at Charlie In A Book while Dahlia has her own brilliant blog at the Daily Dahlia (including this AMAZING QUILTBAG compendium!) and can often be found on the B & N teen blog, in case her Twitter feed hasn't destroyed your bank balance completely. @snugglingonsofa - Superb book blogger at Snuggling on theSofa, wonderful at recommending diverse books, and keeper of the fantastic spreadsheet which is a great way of checking out upcoming LGBT releases! @cloverness - Fabulous blogger at Fluttering Butterflies, as well as one of the amazing bloggers (alongside numerous others on this list) at @BookishBrits. This awesome recent YouTube video about the relaunch of the Bookish Brits Book Club, focusing on diversity, is brilliant! @diversebooks - Surely the most successful book-related grassroots organisation for some time, the Twitter account, the website diversebooks.org, the associated hashtag #WeNeedDiverseBooks - have been responsible for SO MUCH wonderful discussion over the past year or so! @Jo_OuaB - Book blogger at the excellent Once Upon ABookcase, in addition to being a brilliant bookseller at Foyles' flagship Charing Cross Road. It's mainly down to her displays and recommendations that Foyles is definitely the place to go when tracking down LGBT YA books! @queerya - Run by @Caroni_Clarke, brilliant site with fab posts - but Caroline is also wonderful at sharing so many other brilliant things she finds via Twitter. @TheGeorgeLester - Superb blogger at georgelesterwrites.com and booktuber at https://www.youtube.com/user/GesterG91 - one of the most awesomely enthusiastic people I've ever met, when it comes to LGBT books! @lauren_e_james - Lauren runs the brilliant LGBT YA Tumblr, and tweets lots of great recommendations and discussion about LGBT books both on that Twitter feed and her personal one. I really loved this post about her second book, which has a lesbian protagonist. @swritesbooks - Author of one of my three favourite books of the year so far, the magnificent Last Leaves Falling (the other two being The Art Of Being Normal and The Wolf Wilder). Sarah also runs @DiversifYA - Twitter account and amazing site - along with @mariekeyn, who's also wonderful on Twitter. Stewart is a thirteen-year-old prodigy, academically brilliant but socially inept, and grieving over the death of his mother. Ashley is a fourteen-year-old queen bee, ruling the school but struggling with her work - and hiding the secret that her dad split from her mother as he'd fallen for another man. When Stewart's father and Ashley's mother fall in love, the four of them move in together - but can these unlikely new siblings learn to tolerate each other? I've been gushing about this on social media and at events a LOT since first reading it one Wednesday last November, then rereading it just two days later as I loved it so much. So of course, I've never actually got around to reviewing. For the few readers of this site who've somehow missed my dozens (maybe hundreds?) of tweets about it, this is an absolute gem. The two narrators have brilliant voices, particularly Ashley. As a former secondary school teacher, she's right up there with Candy Harper's wonderful Faith as one of the characters who has felt like the most realistic portrayal of a popular teen that I've read in YA novels. She's a complex lead, often bratty, having real problems with her father's sexuality, and capable of being mean to Stewart - but she's also a loving daughter, someone who tries to do her best and has flashes of empathy even when she seems at her nastiest, and I adored her character arc over the book. Stewart is also very well-written, but it's arguably the adult characters who are even more impressive - Stewart's dad, Ashley's parents, and her dad's new boyfriend are all brilliantly rounded, and the new dynamic of their family relationship, with Ashley's parents staying friends after they split up, is excellent. In addition to the great characters, it's a wonderfully warm-hearted story, with a beautiful feeling of family and friendship, and a message about tackling bullying and supporting those around you. Definitely one of my favourite contemporaries of the year so far! Slightly more spoilery bit below - warning in case you want to stop reading now! Stewart is a good character with a strong voice, and is absolutely sympathetic in his grief, but it's Ashley who stands out to me because she feels like a character who's not seen that much in books, at least as a POV character. I think that the way she grows as a person throughout the course of the book, becoming more accustomed to her father’s sexuality and his new partner, as well as to living with Stewart, is really good, and that change feels more realistic because of the little sparks of niceness we see in her earlier on when she’s less of a pleasant character. I was also really unsure how it would play out – one character, in particular, ended up playing a far different role from the one I’d have expected them to, and it’s great to be surprised when reading a novel. The heartwarming, cheer-inducing ending is amazing; it feels breathlessly happy, and positive, and is up there with Sophia Bennett’s You Don’t Know Me as one of the climaxes which has left me with the biggest grin on my face when reading. Simon Spier is sixteen, gay, and not out yet. But he IS enjoying a rather wonderful e-mail flirtation with Blue, another student at his school - it's just that neither of them know the other's identity offline. Simon is hoping that the secretive Blue will eventually let him in - and then things take a turn for the worst, as fellow student Martin gets his hands on an e-mail, decides he can use this knowledge to pressure Simon into hooking him up with Simon's friend Abby. Can Simon manage to come out on his own terms and win the boy of his dreams? And how will his friends and family react? I have read a lot of amazing books with LGBT characters over the last few years, and would have immense difficulty picking the absolute best. How can you compare Lisa Williamson's stunning contemporary The Art Of Being Normal with BR Collins's gorgeous historical romance Love In Revolution, or Holly Black's fabulous fantasy The Darkest Part of the Forest, and say one is better than the other when they - and numerous others - are all pretty much perfect? 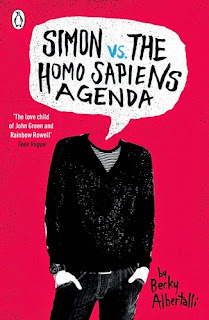 That said, if I was asked which novel about an LGBT main character I'd had the most fun reading, Simon Vs The Homo Sapiens Agenda would win hands down. In fact, it's so utterly wonderful that it's taken me several months to get my thoughts on it down from incoherent squeeing to (hopefully) slightly more coherent analysis of just why it stands out so much. Firstly, it's significantly lighter than many books I've read about LGBT teens, despite the blackmail part of the plot. Simon is such an amazing character - with a great group of friends, a love of Harry Potter, and an absolutely fantastic voice. The chemistry between Simon and Blue just via e-mails is superb, and the reveal of Blue's identity is a scene which has made my heart skip a beat every time I've read it (and that's quite a few! ); it's so beautifully handled. I really liked that Simon's confident in his sexuality, as well - he's certain he's gay, and he's okay with that, with the conflict here coming from the thought of him being forced out rather than being able to come out at a time of his own choosing. In addition, Albertalli's writing style is so fun and easy to read that I've just reread virtually the entire book after opening it briefly to double check a particular line! A truly lovely read, which bears repeated rereading, and which I think is one of the freshest and most delightful debuts of the year. As with yesterday's Read Me Like A Book review, I've gone into more spoilery details than usual here, as I wanted to mention a couple of things that it's pretty impossible to do without giving away a little bit. Maybe stop reading now if that's an issue? Even the guy blackmailing Simon is portrayed as somebody doing something utterly despicable but not, necessarily, a despicable person himself. It's a fine line to walk, but - probably because Simon is such a well-written character that we can believe he would potentially consider forgiving Martin, at least up to a point, and perhaps because the eventual apology he gives Simon seems completely sincere - it works. I thought Simon's family were similarly well-written, despite their embarrassing tendency to make a big deal out of everything, and there's a conversation between Simon and his father which reads absolutely perfectly - it's clear that despite not always knowing the best way to react, and sometimes having difficulty expressing himself, Simon's father loves him and wants him to be happy. Also, the support Simon gets from his sisters is great! Have you read this one yet? What did you think? Leave me a comment, or link to your review! A big thanks to Debbie for taking a look at this review before I put it up, by the way! For the first time in her life, Ashleigh Walker is experiencing the thrill and heartache of being in love. It's taking her mind off all of her other problems, to the point where her heart races every time she looks at the person she's fallen for. But it's not her boyfriend that makes her feel this way - it's the young English teacher, Miss Murray, who's just started teaching her class at college. Ash has never considered she might be more interested in girls than in boys, but these new feelings are about to change her life. Having intentionally avoided reading too many specifics about this one in advance - I'm a fan of Liz's, and the wonderful Charlie In A Book had assured me I'd love it, so I was trying to go into it relatively unspoiled - I hadn't realised the main character was in her last year at college. I love books about teens at this point in their lives, and given how crucial a time it is, it always surprises me there doesn't seem to be a huge amount of YA focused on it. It's really interestingly-paced - I was finding it slower than expected to start off with, but I think that's due to just how well Liz Kessler shows us Ash getting to know Miss Murray, and developing a crush on her. In addition to Ash's discovery of her sexuality, there's also issues she has with her parents becoming increasingly unhappy living together, a falling out with her best friend, trying to decide whether she wants to go to university, and problems with her boyfriend (before she starts to realise that she's a lesbian.) There is a lot of stuff going on here, and you know what? That's perfect, because when you're in those last months of your college life, there ARE a ton of things happening, and it's brilliant to see that Liz Kessler's novel looks at them all. That last sentence of the previous paragraph makes it sound hugely depressing, I've just realised, but this absolutely isn't the truth. Ash faces problems, but she also meets people who help her deal with these problems - Miss Murray, for one, as well as her mother, and friends old and new. It's a hopeful book, and it left me excited for Ash's future once I'd finished reading it. 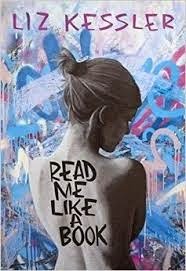 (And by the way, I absolutely want to read more about her - a sequel would be right at the top of my 'most anticipated' list! PLEASE NOTE: I normally avoid spoilers like the plague, but there are more than usual from this point here. I don't think they'll affect your enjoyment too much, but if you want to go in knowing a bare minimum about it, maybe stop reading now? Add in excellent dialogue - Liz has a great ear for the teen voice and a writing style which had me reading the book from start to finish in one gulp, completing it with a happy sigh at about half past one this morning, and I feel super confident in saying that this is going to be hitting a lot of 'best of' lists for the year. Dahlia Adler - Absolutely NO-ONE is surprised that one of my favourite people on Twitter is top of the list, right? (Okay, it's in alphabetical order, but she'd be top anyway.) Ultra-knowledgeable about YA, really hilarious, and basically completely awesome. Stephanie Burgis - So I can fanboy over Kat Stephenson's brilliance in person! Susan Cooper - I grew up adoring her Dark Is Rising series, and was massively disappointed that I was away from London last year when she did an event here! Katherine Locke - One of the nicest, coolest, and generally loveliest people on Twitter. Jon Mayhew - Consistently awesome author and folk musician! Molli Moran - Fabulous author, wonderful person, fan of country music and Gilmore Girls, massive supporter of #WeNeedDiverseBooks - we would have SO MUCH to talk about! Jandy Nelson - An amazing author whose two books are both outstanding, and who always seems lovely. Jenny Nimmo - Along with the Dark Is Rising, the Snow Spider and its two sequels were favourite fantasies of mine growing up; I also loved the more recent Charlie Bone series. Not 100% convinced I'd be coherent enough to actually be able to SPEAK to either Jenny or Susan, but getting books signed would be nice. Katherine Rundell - Author of two of my favourite MG books for a long, long time, and by all accounts one of the coolest people ever. 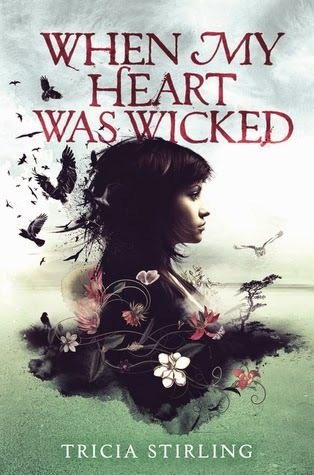 I'm hugely intrigued by When My Heart Was Wicked by Tricia Stirling and was really excited to receive a copy from awesome agent Molly Ker Hawn - who's also been kind enough to offer me a copy to giveaway. I don't tend to run many giveaways, but this isn't out in the UK at the moment so I wanted to make sure at least one of my followers could get their hands on a copy - thanks for the fab chance to pass one on, Molly! Cheyenne, Lacy's mother, sounds both fascinating and terrifying. To enter the contest, leave me a comment letting me know who you think is the most interesting parent in fiction. Contest closes at 23:59 BST on Sunday 10th May and contacted during the following week. 1. Over 13's, and resident in the UK or Ireland, only, please. 2. Winner will be contacted within 7 days of contest closing and have 14 days to respond, if they don't respond a new winner will be chosen. 3. Winner's address will be passed on to Molly to send them the book, then deleted. E-mail address and postal address will not be used for anything other than sending prize. 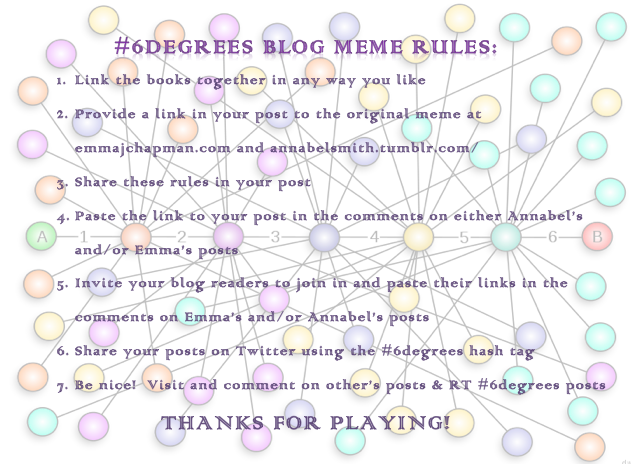 Six Degrees of Separation is a fabulous meme which started last year, and runs on the first Saturday of every month! Huge thanks to Annabel Smith and Emma J Chapman for coming up with the idea. Head over to one of their blogs and leave a link in the comments if you take part, please! This month, the starting point is Elizabeth Is Missing, by Emma Healey. 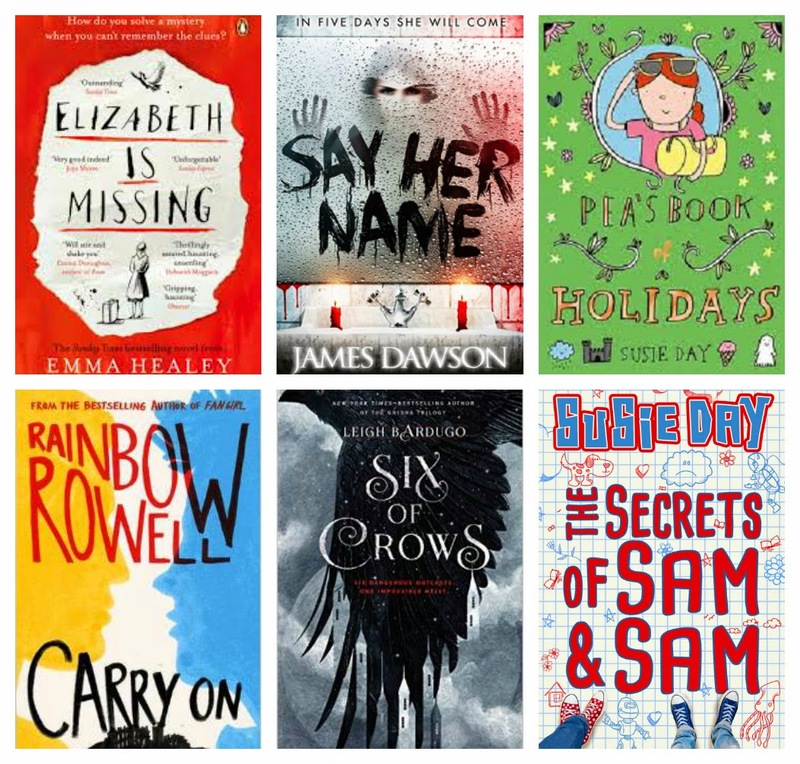 Elizabeth Is Missing, by Emma Healey, was the most recent book we read for my book club, where we've also looked at Say Her Name by James Dawson. Say Her Name was a top 10 book in the Bookish Peeps Book of the Year award, as was Pea's Book of Holidays by Susie Day. Pea's Book of Holidays is the last in the series of Pea's story, but we'll still keep up with her and her family in the follow-up series, which starts with The Secrets of Sam and Sam. I'm really excited for The Secrets of Sam and Sam as I love companion novels or series like this; The Dregs by Leigh Bardugo - starting with Six of Crows - will be set in the same world as Leigh's gorgeous Grisha trilogy. And Six of Crows is one of my most anticipated fantasies for the rest of 2015, along with Rainbow Rowell's Carry On. Have you taken part in Six Degrees? If so, where did Elizabeth Is Missing take you? Leave me a comment, and/or a link to your post! I thought it would be interesting to take a quick look at the stats for the recent Bookish Peeps Book of 2014 vote - full results here. 15 of the top 30 were debut novels! 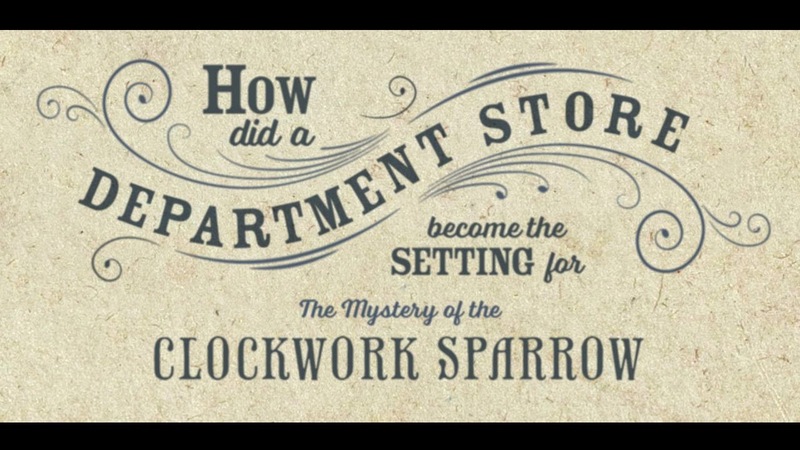 Of the other 15, the two authors who'd written the most books before were Neil Gaiman (The Sleeper and the Spindle, illustrated by the also-prolific Chris Riddell) and Jonathan Stroud (Lockwood and Co: The Screaming Staircase). 21 of the books in the top 30 were stand-alones, with 6 being series starters, 2 (Pea's Book of Holidays by Susie Day and The Dark Wild by Piers Torday) being later books in series, and 1 (Five Children on the Western Front) being a sequel to a novel written by a different author. Random House were the most successful publisher, with 5 books spread over various imprints. Hot Key had 4, Quercus and Bloomsbury 3 each, and Walker had 2. Another 13 publishers had 1 book each, so there were a total of 18 publishers represented! The only non-fiction book in the top 30 was 12th placed This Book Is Gay by James Dawson, who was also the only author to be in there twice - Say Her Name finishing even higher, in 8th. The list covered a huge range of genres, with historical crime, feminist dystopia, sci-fi, horror, and We Were Liars (which I'm not even going to BEING to categorise!) all featuring in the top 10 alone, along with several contemporaries. Other Bookish Peeps related things. We've just launched a Q and A feature on Bookish Peeps; the fabulous Joanna Nadin is going to be popping onto the forum next week to answer some questions. If there's anything you'd like to ask her, please post a question. Also, we're doing a 'classic children's tournament' and asking 16 people to write a paragraph about their favourite classic children's book, then running knockout-style match-ups where people vote on which book they prefer, leading to us crowning an overall winner. If anyone wants to champion a book, or vote on them when matches start in a couple of weeks time, check it out here.